Ask any contractor, and they’ll tell you that the best season to complete a home renovation is during the remodeling off-season. Most homeowners think to alter their homes in spring and summer, when the bright sun reveals problems with their home and gives them the energy to complete major projects. However, because this puts strain on contractors’ workloads, it often inflates prices and extends the duration of projects by weeks or months. That’s why you should consider scheduling your next renovation project for the winter. Not only is the weather usually amenable to even the most significant remodels – being cloudy but dry in most of the country – you will also enjoy being your contractor’s only client, meaning your project could well be done before you want to show it off in the warmer months. Still, there are some considerations to make before you plan your winter renovation. Here’s a guide to cold-season remodeling, so you can revel in your new space as soon as the sun comes back in spring. While winter generally boasts better prices and timelines for remodeling projects, there are some remodeling tasks that simply can’t be done when the temperature drops in certain parts of the country. For example, in northern areas where the ground freezes, you should give up any hope of digging for foundation or plumbing. Additionally, in areas that experience especially heavy snowfall, any project that takes place outdoors might not be possible. It should go without saying that landscaping in the winter is a bad idea because plants don’t thrive when the air is cold and dry. For projects that aren’t ideal in winter, you should still plan ahead to avoid the remodeling rush. Generally, you should try to begin your project a month or two ahead of when everyone else does. As an example, window replacements often occur in the summer, so you should try to schedule yours for early spring. 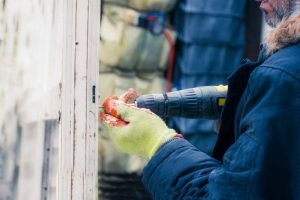 To understand what can and can’t be done during winter – and to get a better grasp on what most people remodel when – you should talk to a few contractors in your area. Because contractors typically have lower volumes of work during the cold season, they are more flexible with their rates – but they won’t tell you that. Most will provide you with quotes comparable to those they hand out when their schedules are full, so it is up to you to question their numbers and negotiate for a better deal. This is especially true if you have a project that can be completed in the holiday lull between November and the end of December, when contractors are desperate for a bit of extra income before the year ends. However, contracting rates aren’t the only ways you can save money on a winter remodel. You should also look into appliance sales, especially if your remodel concerns your kitchen. Around the New Year, retailers are desperate to rid their floors of outdated models, so they often mark major discounts on their fridges, ranges, dishwashers and washer-dryers. You could get a top-of-the-line set for way less if you wait until winter. 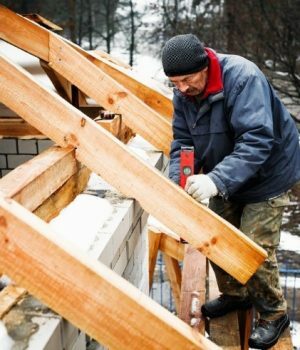 While you can save some money in the winter through these methods, you won’t be paying for your remodel with pennies. You should have a realistic budget for your remodel based on numbers you gather during the renovation high season. Then, if you can negotiate lower contracting rates and find appliances and other items on sale, the savings are a big bonus. Of course, all it takes is one big winter storm to wreck not just your remodel but also the rest of your home and property. You need to protect your real estate during and after your remodel, so you can be confident in your investment and enjoy the beautiful changes to your home for years to come. First, you should be sure any contractor you hire has the appropriate warranties in place. These will ensure that any modifications they make to your property are safe and high-quality; should something break or go wrong later, they will be responsible for a limited amount of the damages. 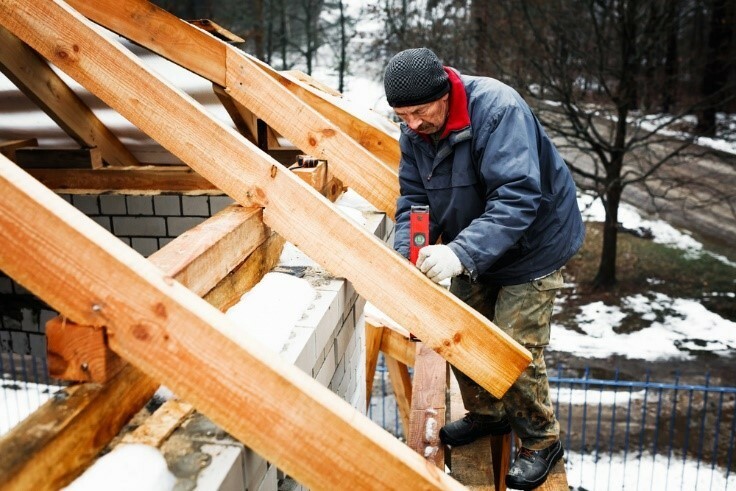 Contractors also have general liability insurance that you should be certain you are added to. This will cover you if someone injures themselves while working on your home. You should also seek a home warranty, to protect older areas of your home untouched by the remodel. You can find the best policy for you by reading home warranty reviews online. Next, you might want to talk to your homeowner’s insurance provider. They will be able to tell you whether your current policy covers any cracks in your contractor’s liability policy and your home warranty. You should also inform your insurance provider of the exact changes you are making, so you can be certain that the new parts of your home are fully protected even after the remodel is complete.